Kentucky’s most well-known horse racing enterprise may be making moves if – or when – the state approves legal sports betting. The owners of Churchill Downs, home of the Kentucky Derby, have invested in a new multi-million dollar gaming center in the state and have applied to operate another. The organizers of the nation’s most famous horse race are now positioned at the forefront of potential legalized sports betting in the Bluegrass State. 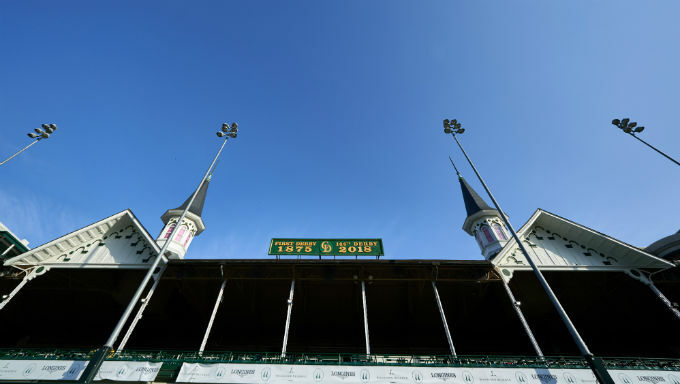 Churchill Downs officials have denied these moves are in preparation for expanded sports betting in Kentucky, according to the Louisville Courier-Journal. Company president Kevin Flanery told the publication the company isn’t anticipating a law that would allow them to take bets on sports beyond horse racing like football and basketball. Even without sports betting, the new facilities are impressive. The company opened Derby Center Gaming racetrack in Louisville last week. The $65 million facility covers 85,000 square feet and includes a 50-seat sports bar surrounded by televisions – a feature similar to sportsbooks in Nevada and other states with legal sports betting. A similar, even larger facility could come to the state shortly. Churchill Downs has petitioned regulators to open a $125 million property in Hopkinsville similar to Derby Center Gaming. With or without sports betting, these destinations are expected to be major drawls for bettors. Odds are, patrons will be able to place a bet there sooner than later. Kentucky didn’t pass a sports betting bill in 2018. It’s positioned to do so in 2019. A bipartisan, bicameral group of legislators introduced a sports betting legalization bill this summer ahead of next year’s legislative session. Several have reiterated support during public forums and with such widespread backing, it’s sure to be a focal point of debate when lawmakers return to Frankfort in January. That doesn’t mean it’s a sure bet. The state still has strong anti-gambling sentiments, despite more than a century as the epicenter of the nation’s horse betting industry. In part due to influence from the state’s conservative and religious advocacy groups, Republican Gov. Matt Bevin has not exactly championed expanded sports betting for the state and could present a veto threat if a bill emerges. High taxation could also pose a challenge. The current iteration of the bill calls for some of the highest taxes on winnings in the world. At 60 percent of profits, it would be higher than Rhode Island (51 percent) and Pennsylvania (33 percent), both of which have struggled to attract would-be betting operators willing to open for business under such burdensome taxes. Other factors including access, oversight and implementation will also need to be hammered out as part of a multifaceted process that has delayed sports betting for months in other states. Despite these obstacles, a vocal push from a wide array of legislators puts Kentucky on the fast track for sports betting. It may need to do so before its left behind in the quickening expansion race. Kentucky could be among the first wave of states to take a legal sports bet. One of its neighbors is already doing so. West Virginia took its first bet earlier this month, becoming the fifth state in the nation to do so. The Mountain State is rolling out an online market as well which, combined with five brick-and-mortar gaming centers, is expected to become a major lure for bettors across the region. Even without Kentucky, the line of states with legal sports betting could quickly become more crowded. Ohio lawmakers introduced a placeholder sports betting bill ahead of its 2019 legislation. Though not as fleshed out as Kentucky’s, it shows lawmakers are serious about sports betting in the Buckeye State. Indiana, Illinois and several other states bordering Kentucky are considering bills of their own. If Pennsylvania can overcome its tax hurdles and get it’s betting market running, there could be more than a dozen states east of the Mississippi with sports betting before the end of next year. Kentucky is an early favorite to be one of them – another asset for gambling stakeholders like Churchill Downs.